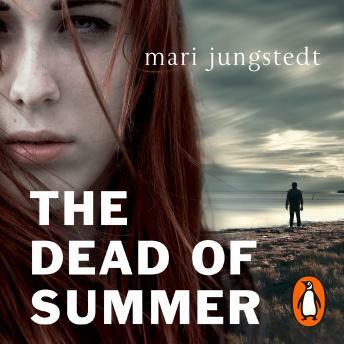 Mari Jungstedt's compelling series of novels featuring Inspector Anders Knutas continues to go from strength to strength with, The Dead of Summer, the fifth crime adventure set on the island of Gotland. Her trademark combination of rich characterisation, taut crime plots and the continuing unfolding drama of her series characters' lives add up to a mix that rivals Henning Mankell's Wallander series. The murder of a young jogger on the beach at Faro - executed with a single bullet to the back of the head - is an opportunity for Anders Knutas's newly-appointed deputy, Karin Jacobsson, to prove her worth while her boss is on holiday. But when a second body is discovered, murdered in the same style, Jacobsson's investigations point to a horrifying conclusion. Someone has real big brother complexes - poor Sweden, all that dangerous estonian mafia threatening them. I wonder what would happen if someone dared to write a crime novel set in Malmo in 2017 for example. Let me guess -it wouldn't get published?